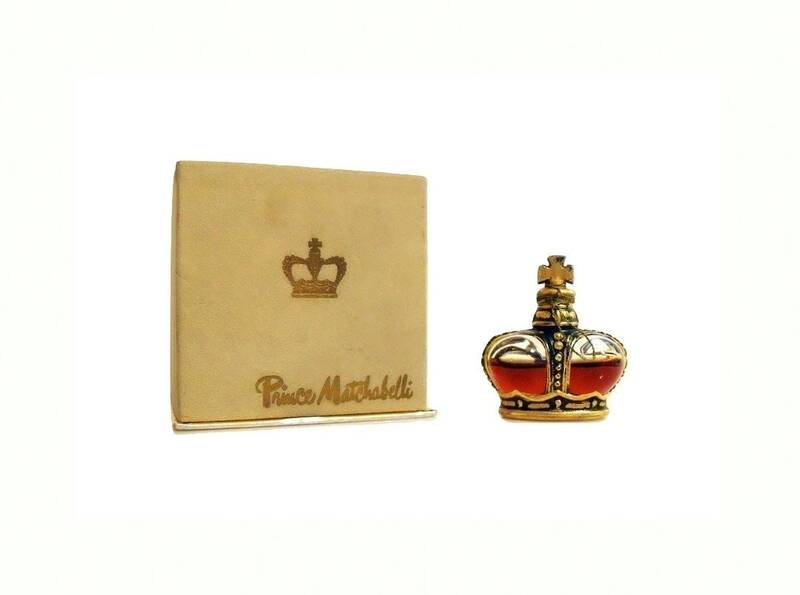 Vintage 1940s Crown Jewel by Prince Matchabelli 1/4 oz Pure Parfum Splash and Box. The bottle is about 65% full - please see photo for actual fill level.The bottle is still sealed with its baudruchage thread and will not open it to check the perfume. 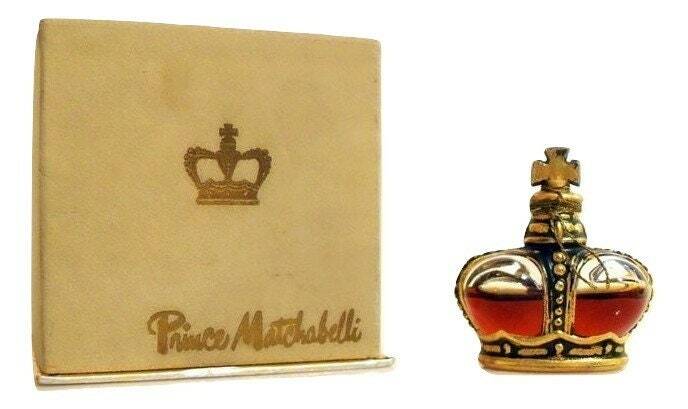 There will be no guarantees on the scent as this is being sold as a collectible only. 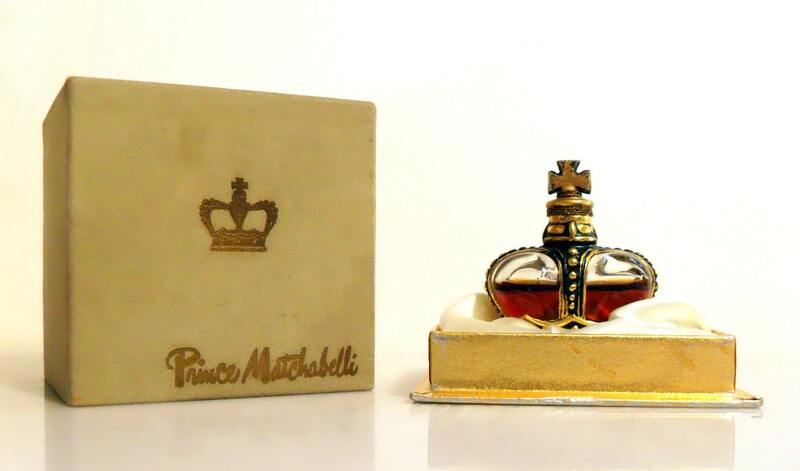 Said to be Matchabelli's answer to Jean Patou's Joy perfume. The bos has some wear from age and storage. The box is covered in cream colored flocking and is lined with ivory satin. 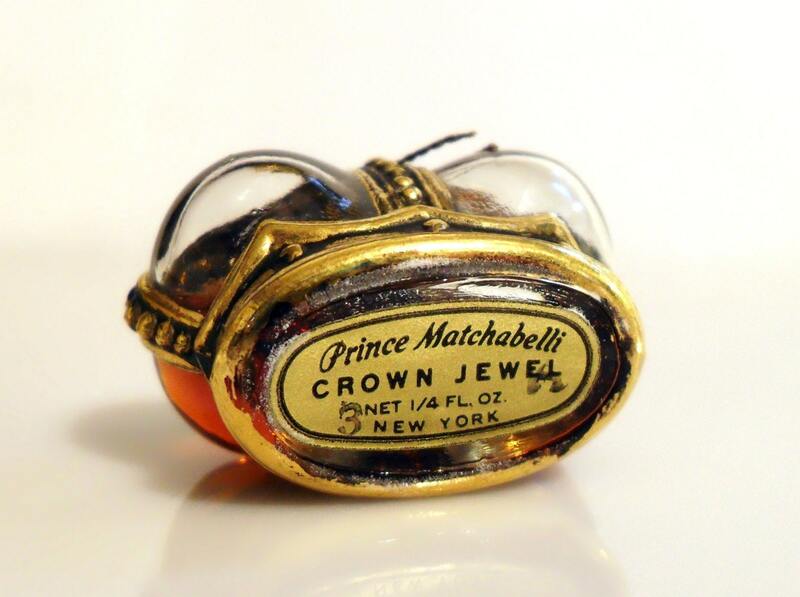 Launched in 1946, it was the first postwar perfume that the company released. 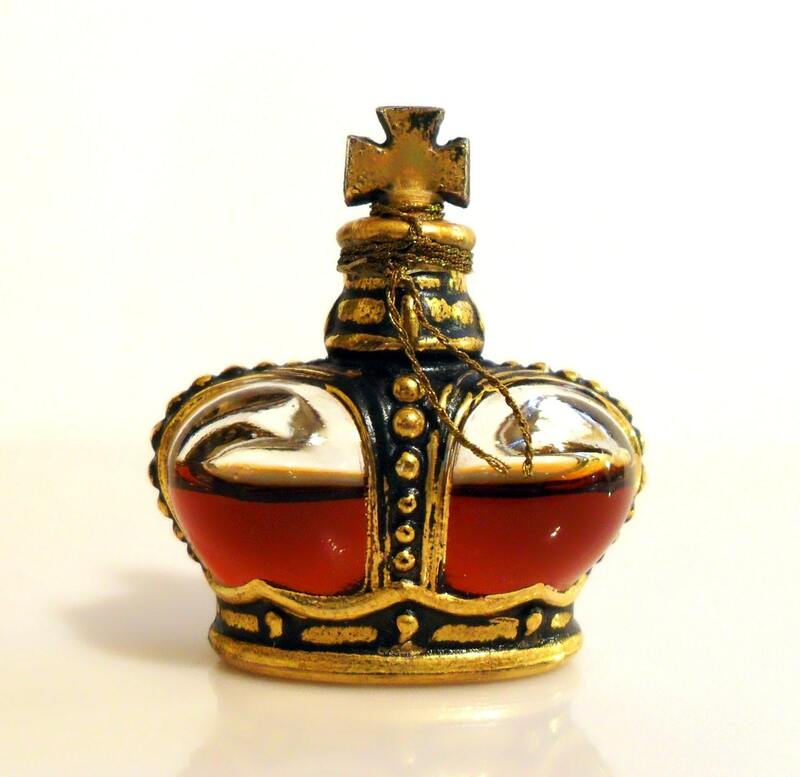 The advertisements shown in newspapers state that this perfume was "imported from France", which infers that, unlike most of the Matchabelli perfumes, this particular one was bottled, and sealed in France, but in reality, only the perfume formula was compounded in France. It was then shipped to the Matchabelli factory in the USA and bottled, packaged and distributed. 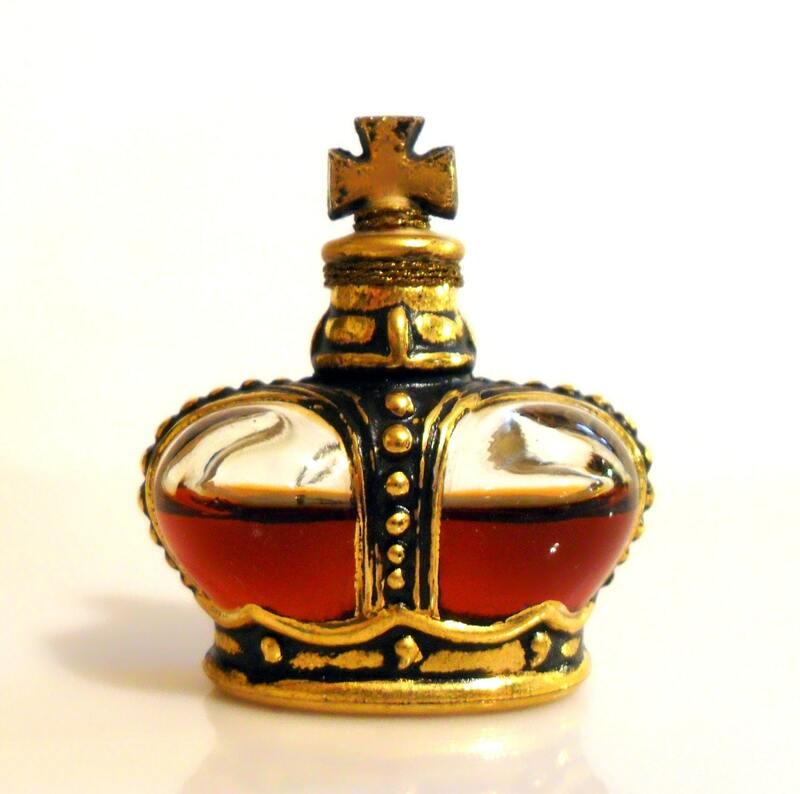 It is classified as an aldehydic floral fragrance for women and was described as a brilliant, opulent floral, with many similarities to Patou's Joy. I have no other notes on this composition. This has been discontinued since the 1970s and can be hard to find.